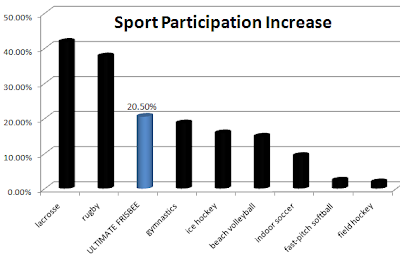 Ultimate Frisbee may not (yet) be the most popular sport, though it had more people playing in 2011 - a trend similar for the past four years. The top three most popular team sports are basketball (24.8 million participants), outdoor soccer (13.7 million participants), and baseball (13.6 million participants). 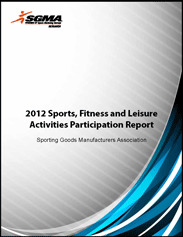 Of the 24 team sports listed, only three of them have had participation gains in the last year – ultimate Frisbee, lacrosse, and gymnastics. On the other hand, 9 of them have had participation gains over the last four years – lacrosse (+41.8%), rugby (+37.7%), ultimate Frisbee (+20.5%), gymnastics (+18.6%), ice hockey (+15.8%), beach volleyball (+14.8%), indoor soccer (+9.3%), fast-pitch softball (+2.3%), and field hockey (+1.8%). Just like when ESPN featured Ultimate, background props need to show Ultimate is MORE THAN throwing a frisbee. More entertainment after the show with a throwing clinic for Fox Newsers. Earthlings celebrated their planet on Sunday, April 22nd. If needing to dress up for the event, this hoodie would gussy up any outfit. Info: Features an out of this world design of the Earth world silhouetted over a white disc with "ULTIMATE" across the front. Super comf American Apparel Pull-Over Hoody (100% cotton; black) with kangaroo pocket in front. Price: $27.00. Buy here, too. No word whether the Frisbee Gang carried the notorious Dangerous Disk. The following information was supplied by the Acton (Massachusetts) Police Department. Where arrests or charges are mentioned, it does not indicate a conviction. 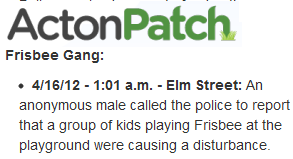 4/16/12 - 1:01 a.m. - Elm Street: An anonymous male called the police to report that a group of kids playing Frisbee at the playground were causing a disturbance. 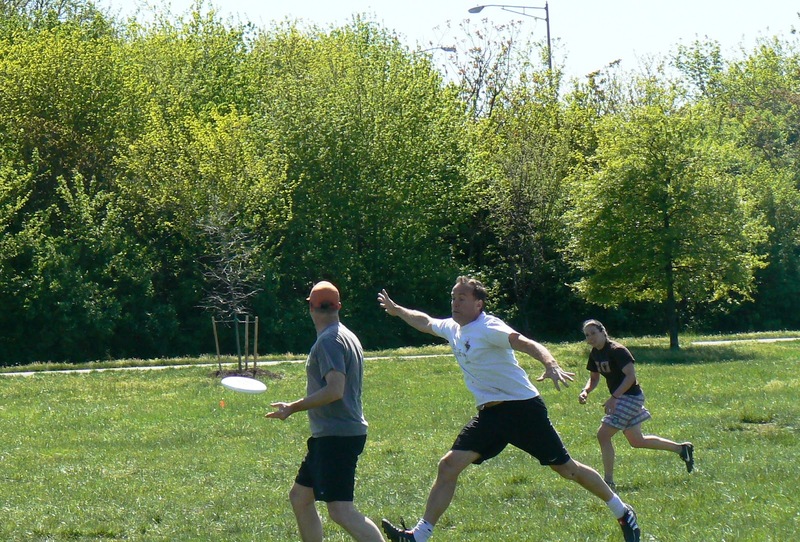 Gather 'round for a tale from a writer about playing Ultimate frisbee. A friend of mine once said that our bodies are like credit cards; we get the bills later on. I am forty now and have been paying my bills lately in the form of varicose veins, arthritis and a torn rotator cuff from almost two decades of playing that silly sport; I've become like an old sailor who can feel weather coming in across the Bay in my bones. Not long ago, on a particularly achy day, I said to my wife: "If I were young again, I wouldn't play that stupid sport." She looked at me the way she does sometimes. "If you were young again," she said. 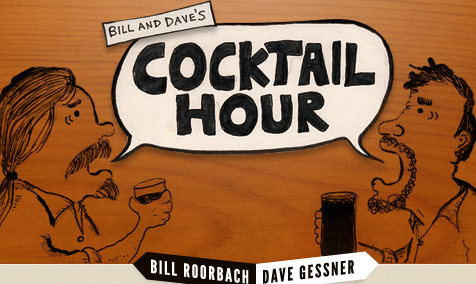 "I'd give you a beer, toss you a Frisbee, and you’d chase after it like a border collie." Whatever the mysterious motivation, each year more innocents are drawn into Ultimate underworld, often leaving behind mystified parents wondering exactly where they went wrong. After graduating from some of the country's best schools, their minds are subtly warped, and, instead of putting their energies into sensible pursuits like law or medicine, they throw them into this ridiculous sport. It’s kind of like a new LSD in this way: Turn on and drop out. Suddenly Ivy league graduates are working at warehouses so that they can have time to pile in a van to drive down, stuffed in with ten rank-smelling teammates, to a tournament in Texas. Meanwhile they live in warrens filled with other players, and drink beer and talk incessantly of Ultimate. It's enough to make parents want to call in the de-programmers. So what if no one knew what the hell Ultimate was? When NBA players say they "love this game," they also mean they love the money, the attention, and the perks. I loved Ultimate despite the fact it had nothing like that to offer. I loved the pure play of it, the great moments, the camaraderie, the stories we told after. 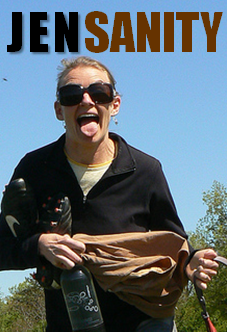 And as silly as it sounds, it is true: Frisbee helped make me. Sludge got off to a slow start against Backhanded Compliment, which took a lead (2-4) by easily picking apart the Sludge zone. Brief experiments with "person" D and "match up" zone were quickly abandoned in favor of a new hybrid version--standard zone with wings playing person--that finally seemed to click. Unfortunately, mistakes on offense allowed BC to maintain and then extend its lead by 4; 6-10. But with the kinks of the hybrid zone worked out and by eliminating mistakes on offense, Sludge mounted a furious comeback and managed to take the lead at 12-11. BC then scored to tie the game at 12-12, and, when Sludge unCHaracteristically dropped the ensuing pull, looked poised to retake the lead. 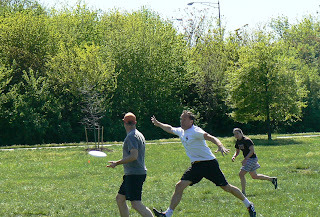 But a great D by Nigel prevented the score and gave Sludge the momentum it needed to roll to the next 3 points; 15-12 win. Before too much time passes, you will want to make your mark. The printed program bought at the Philadelphia Spinners game (4/14/12) included a "Guide to Ultimate." Enjoy the last explanation "in the simplest way possible." 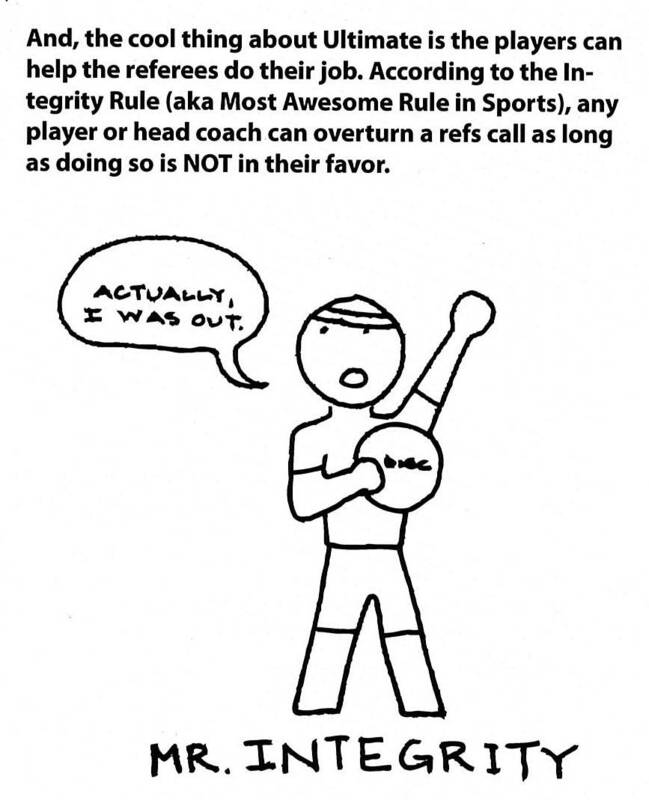 And, the cool thing about Ultimate is the players can help the refs do their job. 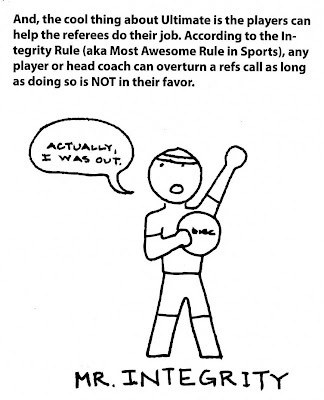 According to the Integrity Rule (aka Most Awesome Rule in Sports), any player or head coach can overturn a refs call as long as doing so is NOT in their favor. And...Part 3. Part 2. Part 1. 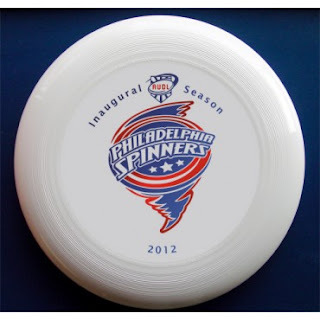 The printed program bought at the Philadelphia Spinners game (4/14/2012) included a "Guide to Ultimate." Enjoy the explanation "in the simplest way possible." 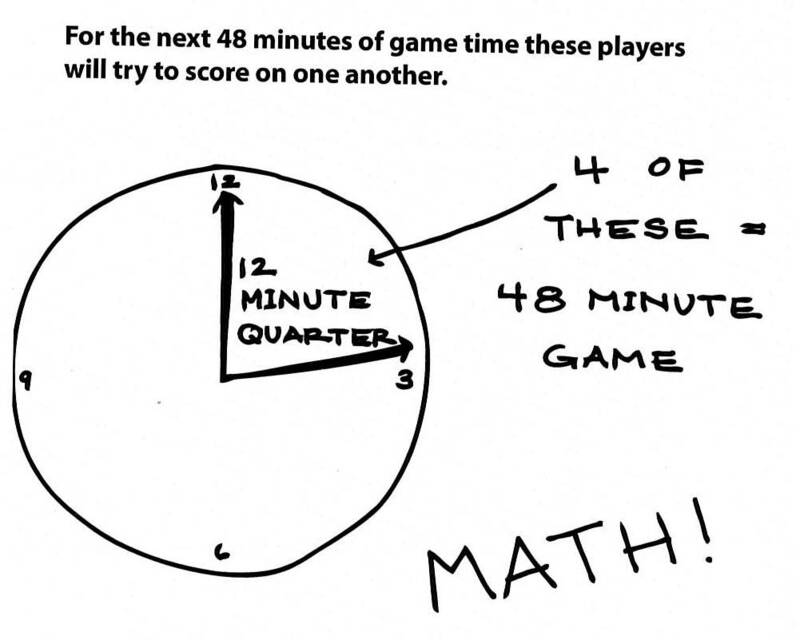 For the next 48 minutes of game time these players will try to score on one another. 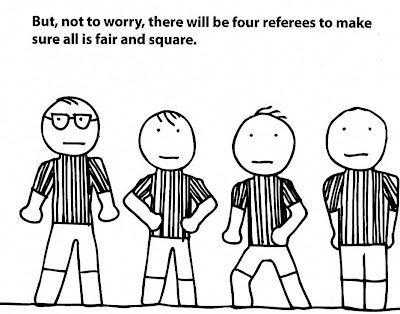 But, not to worry, there will be four referees to make sure all is far and square. And...Part 4. Part 2. Part 1. The printed program bought at the Philadelphia Spinners game (April 14, 2012) included a "Guide to Ultimate." Enjoy the explanation "in the simplest way possible." 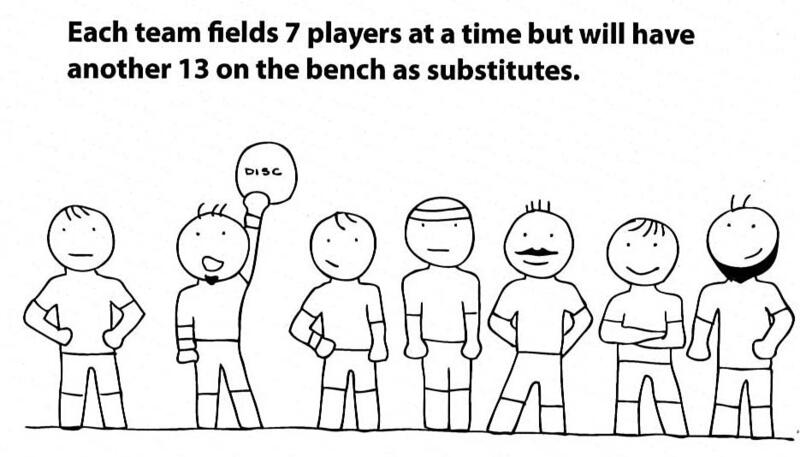 Each team fields 7 players at a time but will have another 13 on the bench as subs. 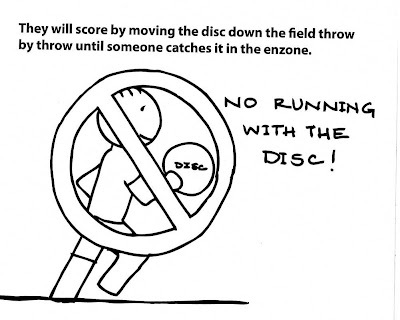 They will score by moving the disc down the field throw by throw until someone catches it in the endzone. 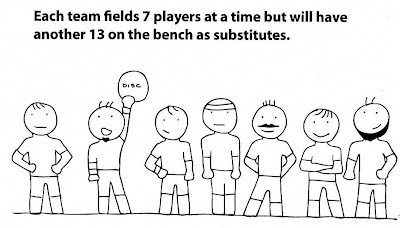 Of course, the other team will be trying to stop them. And...Part 4. Part 3. Part 1. The printed program bought at the Philadelphia Spinners vs Buffalo Hunters game (Saturday, April 14, 2012) included a "Guide to Ultimate." Enjoy the explanation "in the simplest way possible." 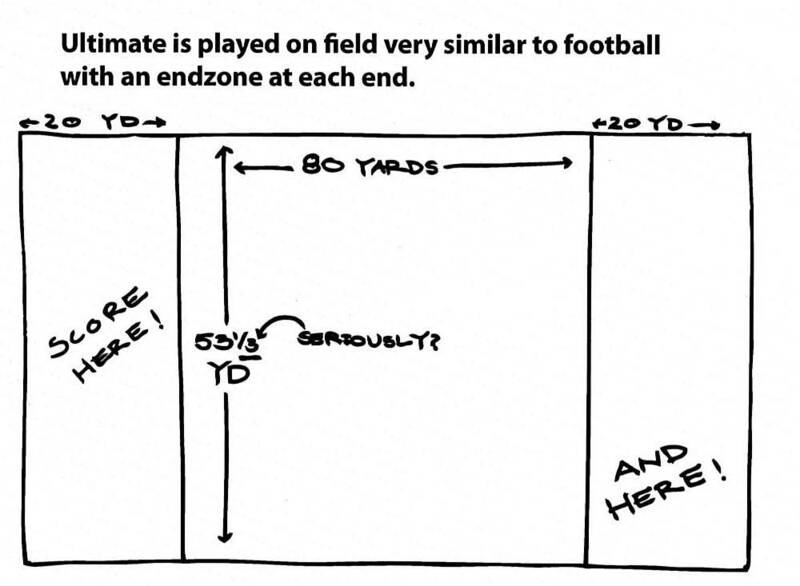 Ultimate is played on a field very similar to football with an endzone at each end. And...Part 4. Part 3. Part 2. After my league game, I drove up from Washington, DC to Philadelphia to watch the professional Ultimate league's inaugural night game. This night game under the bright lights featured Philadelphia Spinners hosting the visiting Buffalo Hunters at Franklin Field (on UPenn's campus) on Saturday, April 14. There were 3 other scheduled games - Connecticut at Rhode Island; Indy at Columbus; Detroit at Kentucky on this inaugural AUDL day. Game time stated 8:05pm. Nearing 8pm, the queue swelled giving security more than they could (seem to) handle. Attendees sat on the bleacher style seating positioned behind the benches which were on the same sideline. After a few announcements about delaying the start so as to allow those in line to enter, the game finally started 30 minutes late (8:36pm) - just like a rec league game, except a curfew replaces the time cap. 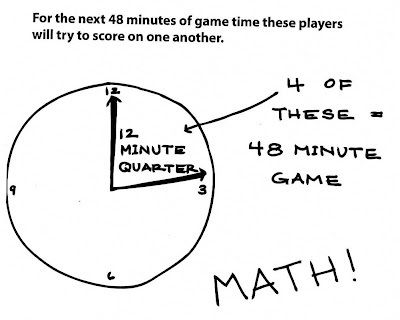 The game ended at 10:50pm. Players for the home team were announced, and after the National Anthem was sung, one of the Spinners players addressed the crowd and asked the Hunters to join him in a cheer of "Ultimate!" before the game start. The two teams huddled at mid-field, and the audience couldn't hear the rest due to an audio fail. Assume the cheer went something like this: 1-2-3 - Ultimate! The feel-good moment was felt by the entire burgeoning crowd (announced as 1,600). The first pull of the game was off and began an ULTypIcal find-your-legs first point. Buffalo scored first which set off the crowd with boos. 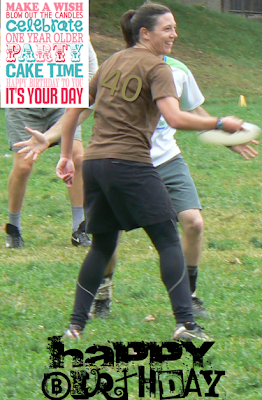 Hearing boo-ing at Ultimate toward a bad call, maybe; toward another team; not very "Ultimate." 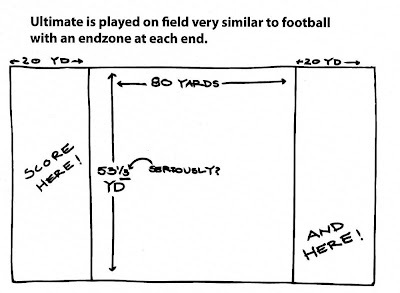 Field size: Endzones are too large - maybe 5-10 yards too big. As a spectator, it was disconcerting to see someone score at the 5 yards away from the painted end zone. For defenders, 20 yards is a large area to cover, let alone to know its location by a sideline cone. Offense: Too many 50-50 throws. Granted, when the offense worked the disc up, it was sorta boring to watch. When the offense tried to huck it deep, it seemed kinda unnecessary. I couldn't tell whether the huck-and-hope was due to the 7-second stall count, or just out of habit. Soon, teams will realize the 'value' of possession over the 'need' to score. 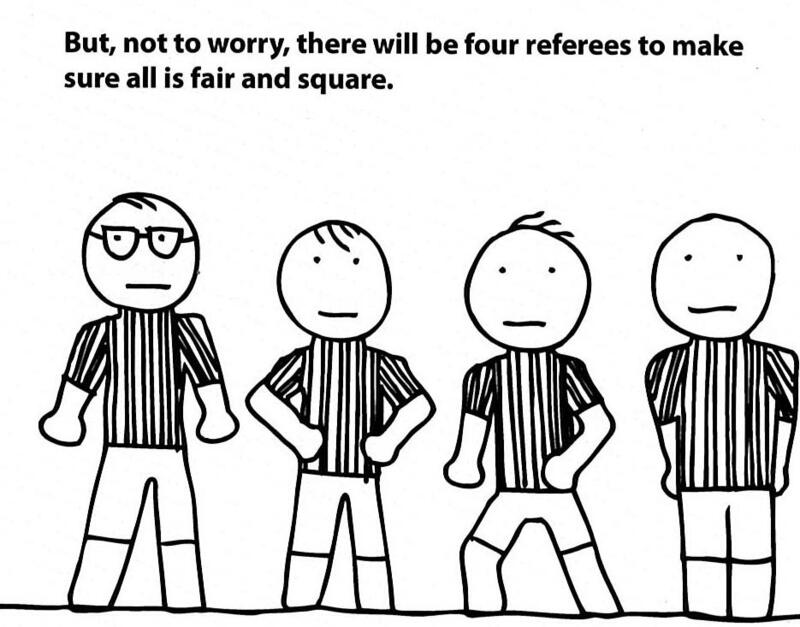 Penalty: If/when a penalty is called, the ref stops play and the disc advances. The advantage of advancement is curious since the handler with the disc moves 5 yards closer to the endzone while the rest of the offense stays put, which may put the offense out of sync. The advantage of a new stall count is more apparent. Self-rule: There was a moment in the second half when a Spinners player bobbled the disc out of bounds near the Spinners sideline, and the ref made the hand signal of "in". The crowd grumbled in disagreement with the non-call, while the Integrity Rule didn't play out; from neither coach, nor player. Instead the player re-established a pivot foot and threw a score on his subsequent toss. Defense: The defense was more athletically impressive than the offense. Knockdowns seemed to get a bigger rise out of the crowd than any other play. Cheerleaders: They were distracting in a 'what-are-they-doing?' way. I understand the rationale for them as a promotional tool for team awareness and for rah-rahs. But, if they weren't there, I would not have necessarily missed them. Venue: The stadium was outrageously huge for an Ultimate game. Granted, the 1000+ crowd was impressive, but humbled by the 52,000 capacity stadium. Oh, the concessions were ill-equipped for the crowd where a very good looking stack appeared for most of the game. 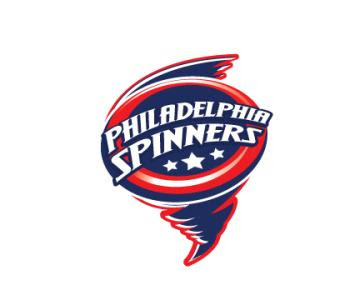 Teams: The Philadelphia roster outnumbered Buffalo, which benefited the Spinners. The Spinners showed more cohesion with an offensive strategy, and better second half adjustments; not to mention a vocal home crowd. In the end, after watching 48 minutes of a professional Ultimate game, what I wanted to do the most was: Play More Ultimate. As for the AUDL, time will tell its impact on Ultimate -- is it competing at a higher level, or having competition on a bigger stage? There were definitely some SportsCenter top plays from this game, though I think there are impressive highlights from every Ultimate game. I probably won't drive 141 miles again to see another 2012 game so my next AUDL game will be when the league expands to Washington, DC in 2013. 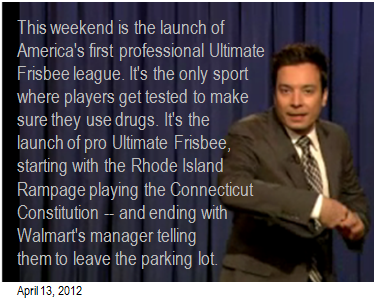 Jimmy Fallon mentioned the American Ultimate Disc League in his monologue on Friday, April 13th. 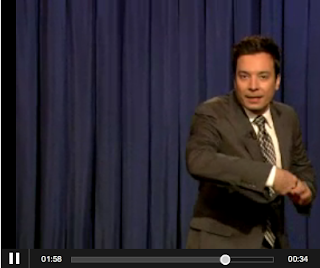 How does Jimmy's backhand compare to Conan's? Fallon: This weekend is the launch of America's first professional Ultimate Frisbee league. It's the only sport where players get tested to make sure they use drugs. 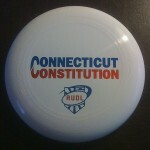 It's the launch of pro Ultimate Frisbee, starting with the Rhode Island Rampage playing the Connecticut Constitution -- and ending with Walmart's manager telling them to leave the parking lot. 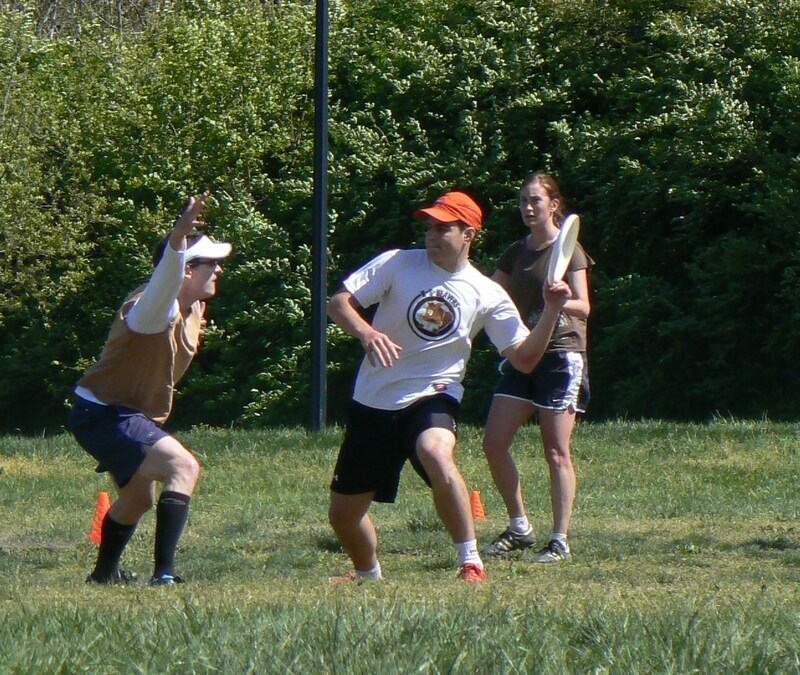 Another windy Saturday at Anacostia Park as Sludge returned to the Ultimate field. The defense commanded game pace early and often. Turnovers stemming from Huck D-nials turned into mind-blowing offensive flow by Sludge. Generally, what was thrown was caught. Sludge excelled when teamwork kept the disc moving and made use of all cuts. CHarlie made his triumphant return with a lofty score to MicHael amid 2 defenders; 2-0. MattHew flicked a few cross-field scores – one to Andrew, one to CHris; 4-2. Sludge's 6th point started with Brian, then Steve, and ended with a Jen forehand zinger to CHris. JENsanity began. Up 6 at half (8-2), the second half was all brown. During 4:3 and 5:2 points, the female cup consisting of Jen, Rachel & Sarah, dubbed the "E" cup (for estrogen) grounded Killa Beez. Out of the cup, Sarah made offense saving cuts as JENsanity kept flinging scores. Rachel closed out Sludge's 11-point run with the last two points. Merchandising, along with ticket sales, are main revenue streams for AUDL teams. Which teams are selling the most obvious souvenir to Ultimate fans? 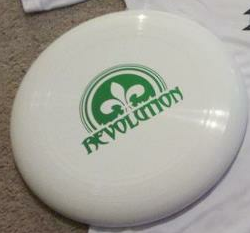 Bluegrass Revolution: Online Store, but no discs. 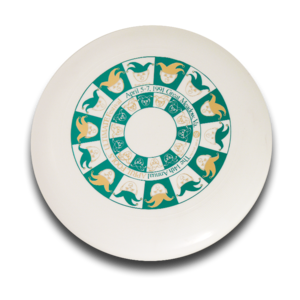 Discs for sale on 6/23. There has not been much promotion about the AUDL this week leading up to the opening pull (Saturday, April 14), so this article is getting tossed around like a Frisbee in a zone offense. Whether you like it or not, the AUDL is competing against the coveted Club Ultimate series offered by USA Ultimate. 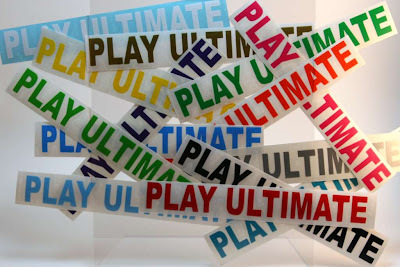 As we know, this "new Ultimate" (NüLTIMATE?) will definitely be different from "our" Ultimate. 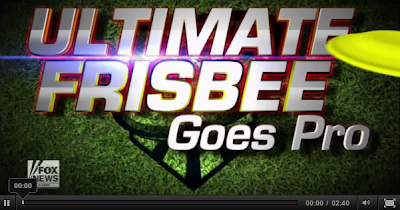 Is America ready for professional Ultimate Frisbee? Get ready, America. 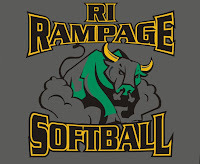 At 3 p.m. this Saturday, pro sports in this country will change forever when the Rhode Island Rampage take on the Connecticut Constitution. Yes, we are just a few days away from the dawn of professional Ultimate Frisbee. 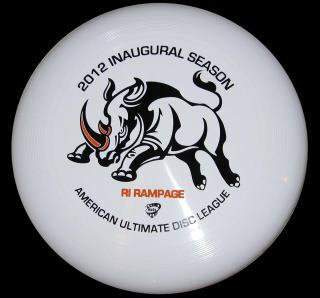 When the formation of the American Ultimate Disc League was first announced, I thought it was a joke. Everything from the X in the name of the Detroit Mechanix to the location of the championship game-Pontiac, Michigan's 80,000-seat Silverdome-felt wrong. But the league's press releases, announcing the locations of the eight teams and the 15-week regular season, made it clear that the AUDL wasn’t joking around. It’s not totally crazy for Ultimate to go pro. In 2010, 4.7 million Americans played the sport at least once—almost triple the number who played a game of lacrosse, a sport with three professional leagues. 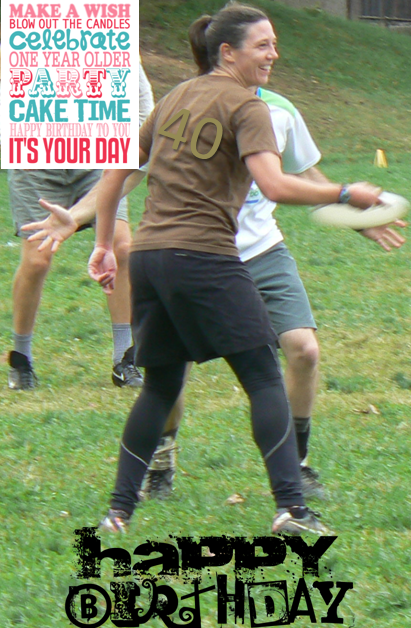 More than 1.5 million people play Ultimate at least 13 times a year, and those devotees tend to spend money on the sport. 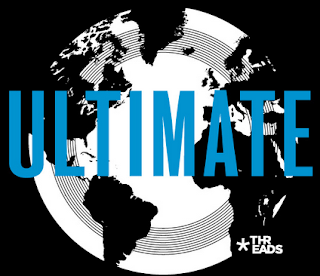 There are at least eight companies that specialize in Ultimate apparel, mainly sweat-wicking jerseys and trucker hats. 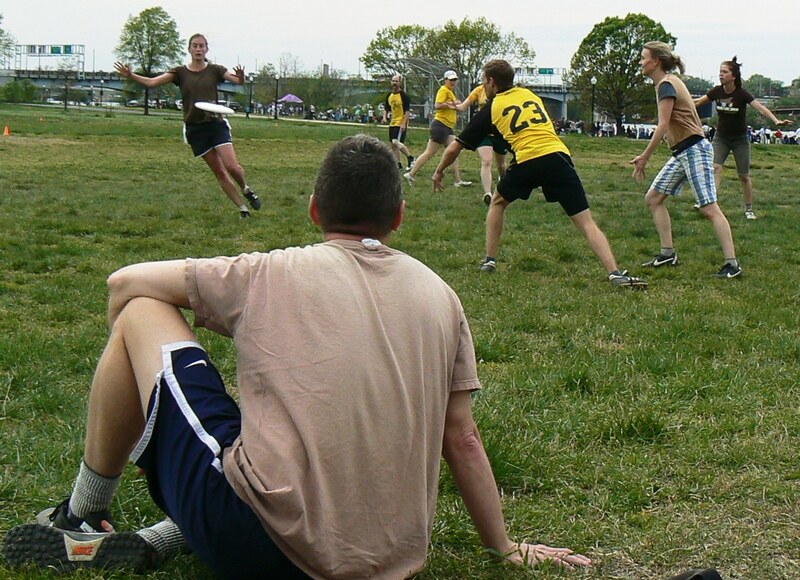 I am among the horde of men and women who played competitive Ultimate in college. I woke up for 6 a.m. practices and shelled out thousands of dollars for rental cars and cross-continent flights. I own Ultimate DVDs and stacks of 175-gram Discraft Ultimate discs. Like most Ultimate players, I consider it a serious sport filled with serious athletes. The trouble is, no one else does. Despite Josh Moore's predictions of an Ultimate empire that stretches from coast to coast, it's only fair to set the bar low for the AUDL. This is, after all, the first season of a new league featuring an oft-mocked sport. For Smith, expansion is less important than avoiding extinction. "The goal is to just complete the season," says Ultimate’s best-known player. "If that occurs, I think it's a success." Banking on the hope that the professional Ultimate games are better than their professional team logos, an outfit offers you to watch games from your computer, similar to NexGen. Info: Online broadcasting of professional Ultimate games from the American Ultimate Disc League. 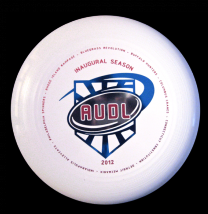 Choose from a selected weekend game(s) from the AUDL schedule. A start-up based in Michigan, their Webcast Schedule lists Western Division match ups; mostly Detroit Mechanix games. [Updated 4/12/12] GLU warns: if you buy one event, you get access to that live event ONCE, rebroadcast access is for 24 hours, then your access expires & you will not be able to watch the video again. When at Anacostia Park, you will find yourself between a rocky field and a windy place. 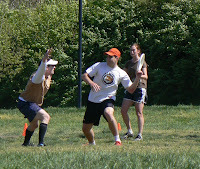 After a strategic move away from the rockiest field known to ankles, the wind aided in Sludge's sails in the first half. Early strong D-isplay, like RacHel's knock downs in the cup, Sludge transitioned to O by swirling around the goal line against Sundays at Six person defense. Bucci caught a score to show off for her older sister; 2-1. A few more upwind points were handler-ed by MattHew & Joe; 5-1, 5-2. A change of direction suddenly blew in during the last part of the first half. 6-3, 6-6, 7-6. Sludge struggled versus the collapsing zone cup that pinched brown against the sidelines as the gusts prevented upfield throws, and airbounces challenged all swings. First throws were as difficult as explaining the purpose of wind chimes. Down one & losing by 1 at half, "we could still lose this one" was hinted. A one-word solution was conferred – PUNT. CHris sparked the sluggish brOwn with a spectacular catch between 2 defenders in the endzone; 9-11. Flurried, patient passing - similar to the game's start - returned with a MicHael-Russ-Nigel-Jen score; 10-11. More turnovers near the endzone chapped Sludge's halftime plan. One could say the PUNTs were just P-U (read: Pee-Yew). When the disc found its way off the sideline, score potential was realized. 10-13; 12-13; 12-14. Still competing, David's endzone defense helped redirect flow to a Matthew-to-Nigel score; 14's. At hard cap, a few more wind-induced turnovers led to game over. LA Beaches heart "flying discs, including frisbees"
Alas, the Board of Supervisors of Los Angeles (California) County will finally make a distinction that a frisbee (flying disc) is NOT a ball. Well, the Supes have decided to overhaul the law again--Item 34 on the consent calendar (see above) for Tuesday April 10th's April 17th's Board of Supervisors meeting would across-the-board legalize the use of frisbees and footballs on LA County beaches. According to the agenda, the ordinance will "clarify that the use of balls, flying discs, including frisbees, tubes, and any light-weight objects are permitted at all times on any beach that is owned, controlled, or managed by the County, provided that the involved activity does not endanger any person or property on or near the beach, or in or over the Pacific Ocean opposite any beach, or unless the Director of the Department of Beaches and Harbors or an ocean lifeguard directs otherwise to protect the public safety and enjoyment of the beach or the Pacific Ocean opposite any beach." So there you go: have fun, as long as you aren't hurting anyone. Sounds like a day at the beach. Items on the consent calendar are usually approved without discussion. Happy Birthday, Bucci! Only 10 more years 'til you enjoy a Sludge Hoodie. "I might be a bit older but I don't think we need to talk about it." Today is Take Your DISC to Work Day! This awareness day may be similar to other working days, except for the fact you are not AT work because of holiday. The series evaluating the 8 team logos and nicknames of the professional Ultimate league is complete. 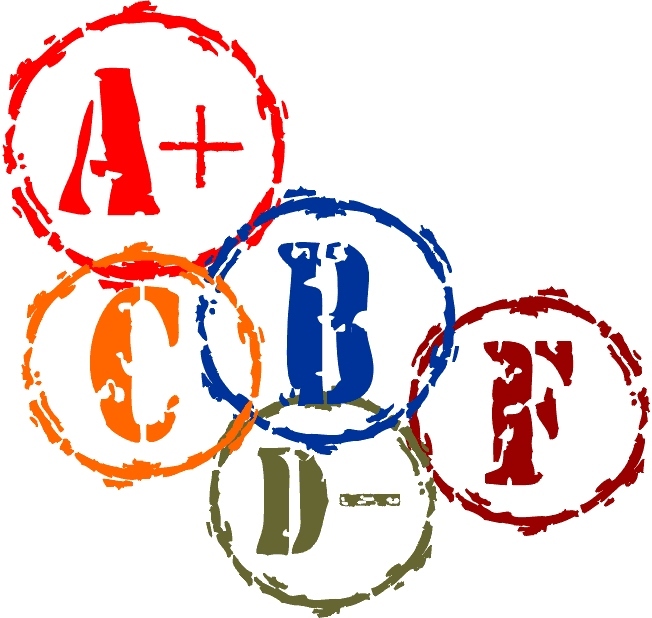 A compilation of final grades for the AUDL teams' design are below. 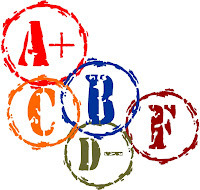 View full reviews and critiques for all 8 teams. Final thoughts from Jeremiah: In this day of sublimated jerseys, there may be less consideration for this, but none of these designs would be able to be printed on a disc without some considerable alterations, which I think could be a big miss in marketing terms. 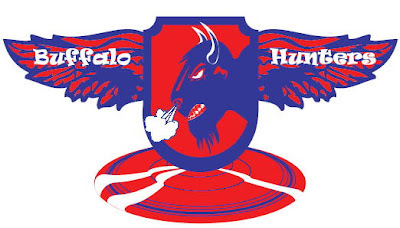 In designing a brand or logo for a sports club/team if you can figure a way to incorporate the ball or in this case, the disc into the logo, it better be rendered well. 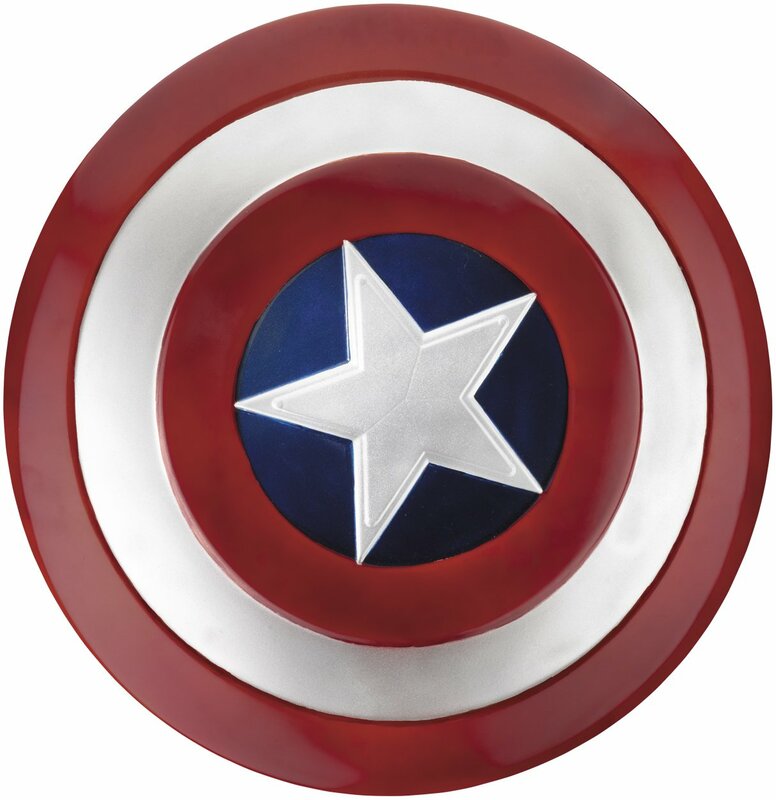 Not necessarily photo realistic, but at least representative of a Discraft Ultra-Star 175g Ultimate disc, not a 99¢ beach disc. If you are interested in creating logos for sports teams, take a few minutes and look at the work of Fraser Davidson. This guy is at the top of the game when it comes to sports branding. Many thanks to Jeremiah Boncha [founder threadsUltimate.com + rimagives.org & also at bonchadotdiscs.tumblr.com] for contributing to this series. Seemed like only 8 months ago when the last D2W Day (BRING Your Disc to Work Day) happened. Similar, yet slightly different... TAKE Your Disc to Work Day is tomorrow. Next in the series evaluating the 8 AUDL team logos and nicknames. History/Research: The Spinners are a soul music group from Detroit with hits like "I'll Be Around". There's a minor league baseball team (Boston Red Sox affiliate), whose location - Lowell, Massachusetts - is known as a textile mill town. Less than 10 tornadoes have been seen in Philadelphia, Pennsylvania since 1958. Jeremiah's Eval: Not great, but this is probably the most successful design of the bunch. 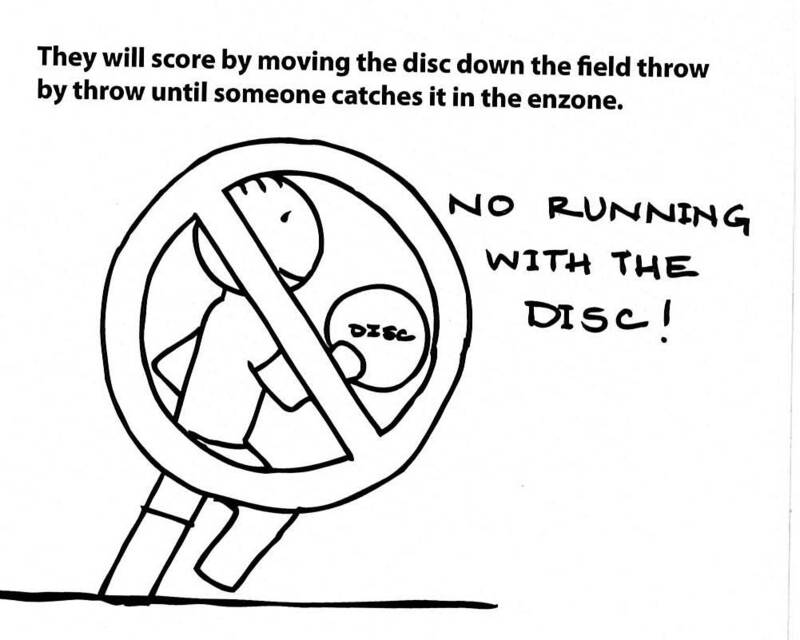 It is not the best illustration of an Ultimate disc, but I think the overall simplicity of the design is its biggest strength. 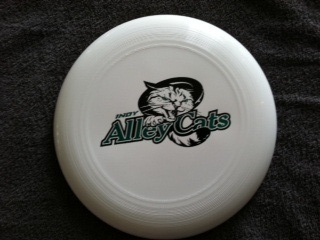 What are your thoughts on this AUDL's team name & logo? History/Research: Formerly named "River City" (a nickname for Louisville), bluegrass refers to the geographic region in the state of Kentucky. 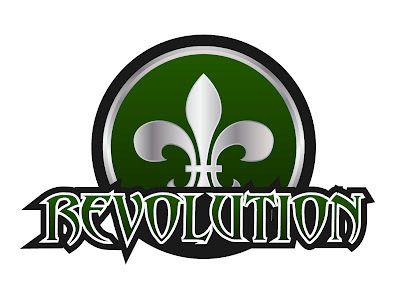 The fleur-de-lis (flower of lillies) is the Official Seal of the City of Louisville representing French aid given during the Revolutionary War. Lexington - about 75 miles east of the 'Ville - is the location of the team's home field. First impression(s): Logo could be an Irish bar in New Orleans; or, a Québec spin class. Apt Ultimate team, as it is for a song (Beatles), a remedy (Che), as well as a California band playing alt-country, gypsy jazz, blues & progressive acoustic music. Jeremiah's Eval: The Fleur-de-lis could very well be clipart. The font is unidentifiable, but looks threatening. Although the outline of the font is done poorly. Some serifs have white outlines that are pointed and others that are flat, it might be nice if they were all pointed to enforce the aggressive feeling of the font. There is a sliver between the "T" and "I" that could easily poke an eye out. The black outline has a few misguided spikes that need to be looked after above the "N". In a preview of a Grand Master Ultimate league (Men: ages 40+; Women: 30+), Sludge met the familiar-faced Rerun at Montgomery Hills. Sludge operated at low flow and were unable to convert on near-goal chances; 1-6, 2-6. Often pinned against the sidelines, brown's O worked with break side throws and middle-of-the-field vantages. Andrew started the scoring with a cross-field score to CHris. Bucci tossed one to make the score 4-7. At half (4-8), following Griffin's insinuation, Sludge put their little brown movement behind them. A 5-1 run fueled by scores from Sarah-to-David, Matthew-to-Jen-to-Steve, Mike-to-MicHael-to-Jen, and a low huck from Joe-to-MicHael. The key to brOwn was its efficiency with short passes <10 yards and maintaining possession. While Rerun refused to make any turnovers in the first half, their 2nd half ones were seized upon. Sludge had their first lead at 10-9 with a Brian-to-Andrew-to-David score. An overturn of a pick continuation swung the point from a score to a turnover, and then shifted momentum away from Sludge. No more brown points were tallied in this fun to play or spectate capped game. History/Research: Rhinoceros are knee-less animals with poor vision (nearsighted), yet have excellent senses of smell and hearing. Though large (5,000 lbs), a black rhino can thunder at 40 miles per hour! A group of rhinos is sometimes called a "crash". First impression(s): Portland called...they want their mascot idea returned. Shaped like an oval bumper sticker for a town in the State of Rhode Island and Providence Plantations. 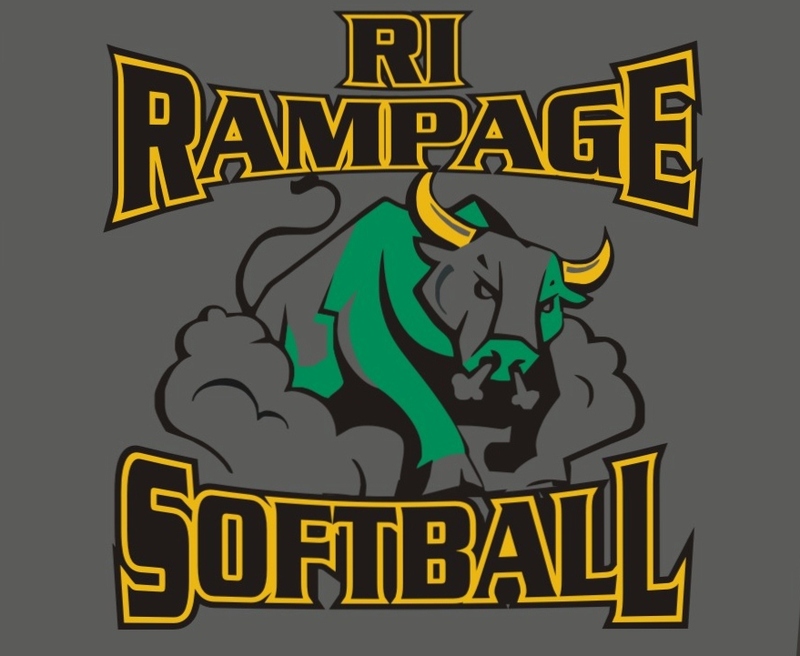 The alliteration is cute, even for serious softball. 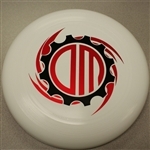 Jeremiah's Eval: Is the oval supposed to represent a disc? The illustration of the rhino head is an interesting stylization, but I am not sure it has the right feeling for any sports team. I am wondering if the stencil font was chosen to allude to going on safari... like we are going hunting. But the ball, or is it disc(?) was dropped with the stencil font and it was given a drop-shadow. Listen up... stencils are cut out of paper and most often spray paint is used to fill in the holes on the surface behind the stencil. Now go think about that for a few minutes. 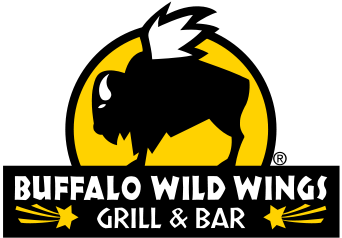 History/Research: The former bison population probably helped name the city of Buffalo, just as its famous food, Buffalo wings, has been embraced. In 1877, there was a conflict called Buffalo Hunters' War where a band of Comanche (Plains Indian) warriors attacked a group of buffalo hunters and stole their stock. Currently, hunting of wild bison is legal in some states & provinces where public herds require culling. 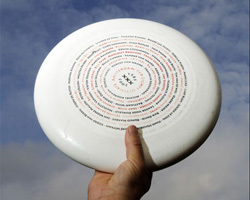 Jeremiah's Eval: Not an Ultimate disc. Font BAD. Buffalo BAD. Snort BAD. Wings BAD.